Bro. Eli Soriano Corrects A Reader: Who is Truly "the Son of God"
Brother, allow me to correct you: I am not the “true Son of God“, but the Lord Jesus is. 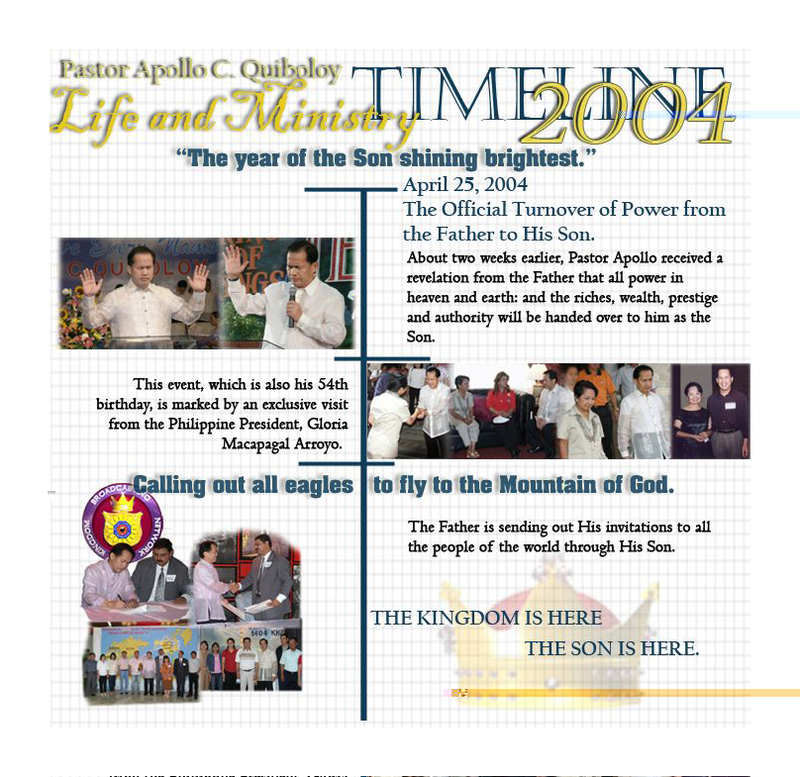 Someone claiming to be the Son of God like Apollo Quiboloy is not telling the truth, but is deceiving people. The Lord Jesus, according to the Bible, is the only begotten Son of God. For anyone to claim such an honor, their glory is not glory but shame. In view of the foregoing, may I advise Bro. Bennieson, and all the others who complement me, to be careful in their choice of words. Brother Eli will remain to be an unprofitable servant!